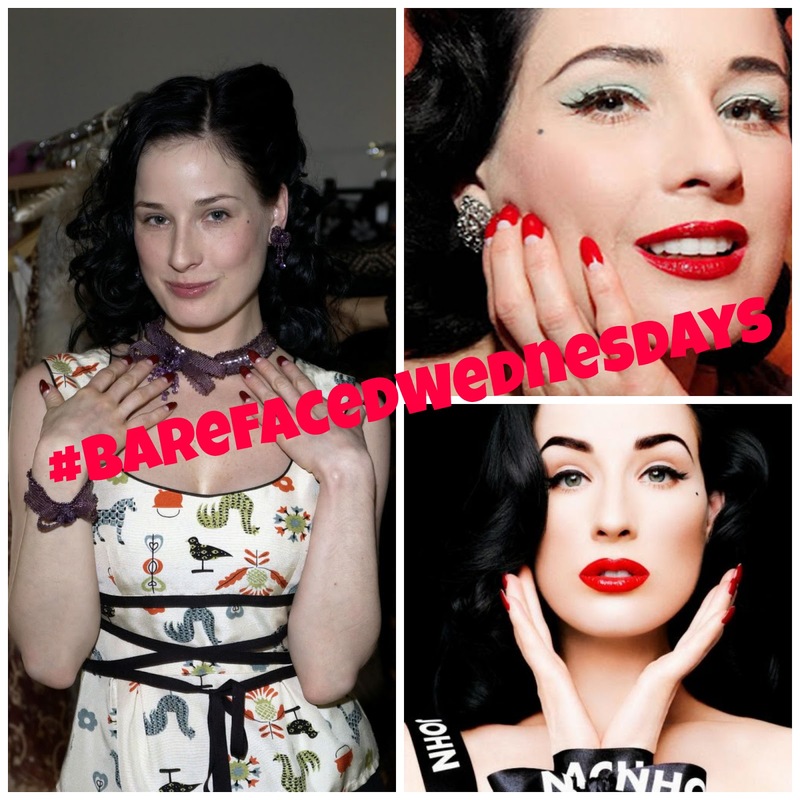 Dita Von Teese is known for a very specific look: impeccable matte skin, and flawless red lips. It's pretty rare to see her not done up and without red lips, except on occasion when you can catch her barefaced, as pictured on the left. She's a siren done-up, but without make-up she's still adorable as ever, and her skin is super impressive! I just love her pin-up style! What do you think is better? Makeup-up or no makeup?